Frank Woiken was born on March 6th, 1946 in the Whitebeech Community Pasture, Saskatchewan. 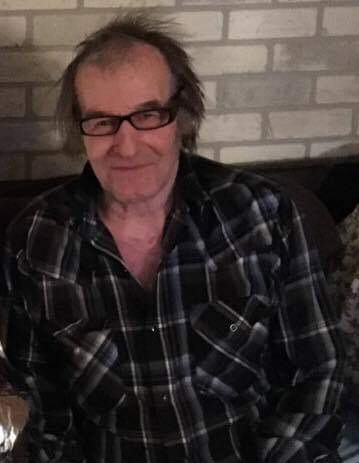 Frank passed away October 11th, 2018 at the Swan River Valley Health Centre with his family by his side after a hard-fought battle with cancer. Frank received his early education at Evadale School. Frank worked for various farmers around Saskatchewan. He was a natural with cattle and horses. He worked at Mancota Community Pasture and then at the Whitebeech Community Pasture with his good friend Ed Mericer. In 1974 Frank and his brother Harold worked together in Hudson Bay, Saskatchewan for a logging company. Frank married in 1974 and worked in Edson Alberta where he continued to work in the logging industry. Frank returned home and settled on his farm. From there Frank went to work at Westell Rosco in Regina, Saskatchewan. After Franks daughter Sandra was born he moved his family to Regina. Frank worked at Westeel for 10 years. From there Frank returned home live his days on the farm up until his health declined which then he lived with Janet, his sister-in-law at her place. Frank had a great love for his horses, and spent many hours training them. His good friend Gary found a baby elk that had been orphaned and brought it to Frank to care for. He named her “Toosy” and she followed Frank everywhere around the farm. While living in Kenville Frank enjoyed spending time with his grand children, giving them quad rides and making them “fried potatoes”. Frank made many pots of borscht and would always make sure, Sandy, Rhonda and Lorraine all got some. Frank enjoyed hunting and had many hunting buddies through the years. He made some pretty unbelievable shots that surprised us all. Frank will be sadly missed by his daughter Sandra (Bruce); grandchildren, Breanna, Renee and Alisha; sister-in-law Janet; nieces Rhonda (Mike) Miranda and Kendra, Lorraine (Jeff), Shaelen and Roman. Frank was predeceased by his parents Dora and Nick Woiken and by his brothers Lawrence, Fred, Harold and Nick. will take place at a later date in the Whitebeech Cemetery.